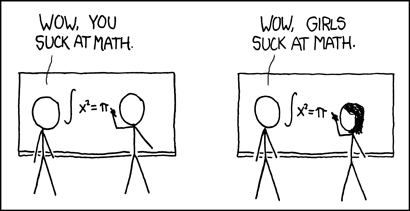 Ah yes, the obligatory xkcd comic and this time it’s showing an example of high variance in everyday life. When building a model, one of the first things we look at are the prediction errors of the dev and test sets. 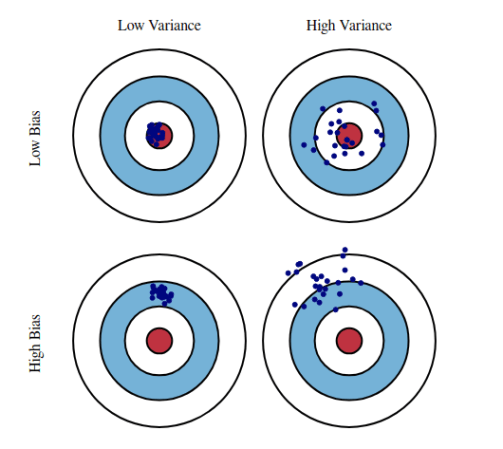 These errors can be decomposed into two components known as bias and variance. Bias is an error that results from incorrect assumptions the model makes about the training data and variance is an error that happens when the model is sensitive to small changes in the training data. If you build a model and observe that it has a hard time predicting data it’s already seen (i.e. it has a low training accuracy), then your model doesn’t fit the data well and so we say it has high bias. On the other hand, if your model is too sensitive to changes in the training data, then it will try to predict random noise rather than the intended outputs and thus will overfit your data. This usually results in a very high training accuracy and we say the model has high variance. Since we want a model that minimizes bias and variance, a trade-off arises. We could have a model with a high training accuracy, but performs poorly on the dev and test sets. In this case, it’s better to sacrifice some of that training accuracy in exchange for better performance on the dev and test sets. This trade-off is perhaps more intuitively understood by the image below. Although the bias-variance trade-off might feel experimentally familiar, it should be mathematically verified that we can decompose prediction errors in terms of bias and variance (and an unavoidable error term). For more justification in each of these steps, refer to the derivation procedure posted on Berkeley’s machine learning blog. In a separate post, we’ll cover cross-validation which can have a desirable effect on both bias and variance. As you can see, the model(s) you choose, the parameters you settle for, and the data you collect all have an effect on bias and variance. Ideally, there’s a perfect balance out there for any given situation but to find it we’ll have to rely on a bit of intuition, more experimentation, and robust methods.